Ever get tired of being a "grown up"? I find, anymore, that more and more evenings when my hubby gets home and comes in the door, sniffing for aromas of dinner preparations underway, I greet him with a hug and the comment, "I'm tired of being an adult!" 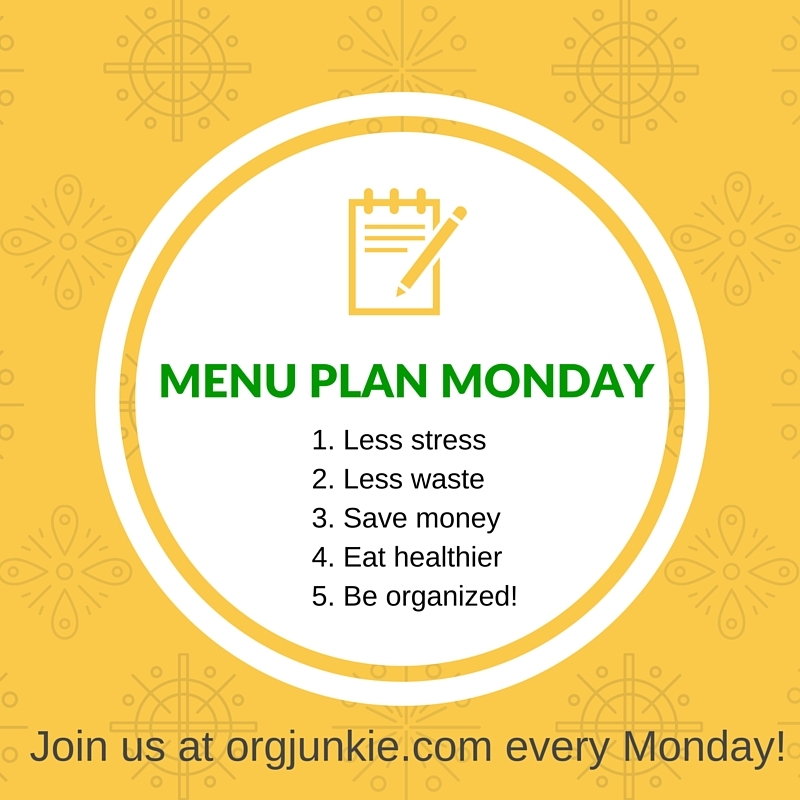 Tired of the laundry, the chores, the cleaning, the cooking... Sooooo grateful for my weekly menu plan and shopping trip! Without it we'd be "making do" or going out way too often. With my menu plan I just have to own up, get up, round up help if necessary and "get 'er done". On February 6, 1881 a little boy was born in Hull, England and his parents named him Herbert. My great grandfather, Herbert, was born in 1881 in Hull, England, but I don't know for sure if the family I have found is for sure my great grandfather, but it is the only Herbert Hall I have found that was born in Hull in 1881. I don't know my great grandfather's birth date, only his birth year. If I can trust what I am piecing together from Census searches, his father was named William L. and his mother’s name was Elizabeth. He was the firstborn child, and he had a sister named Edith, who was born three years after he was. The address of their residence was 13 Hanover Square, and the father worked on a barge. Information on Herbert’s obituary indicates he had one brother and two sisters. I have no way to tell if those were surviving siblings, or if that was all the siblings there ever were. While I cannot find record of birth or know with certainty this information is the correct match, this appears to be my great-grandfather’s birth and parents. I can find no other Herbert Hall living in Hull, England at that time, so I am claiming these to be my relatives. Also supporting my theory, at least circumstantially is the census information that reveals the Jickells family living across the street at #12 Hanover Square. My great-grandmother was always known as “Carrie”, and even named her daughter “Carrie”. The census does not list a Carrie Jickells at 12 Hanover Square, but there is a daughter listed in the Jickells family with the same birth year named Clara E. Jickells, and it is easy enough for me to believe that she took Carrie as a permanent nickname. The information I have pieced together from 1901 on I know is accurate. Carrie was a year older than Herbert. When they grew up, they got married. Herbert served in the military for Great Britain. At the time of the 1901 Census, Herbert, aged 19 and Carrie, aged 20 were married. Their first son, Herbert Hall, Jr., was born March 3, 1904. 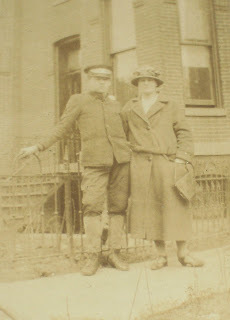 Their daughter Carrie was born in 1907, and Robert William was born in 1908. England had a tradition, at that time, of giving land grants in Canada to their veterans, and when Herbert, a bricklayer, returned to civilian life he traveled to Hamilton, Ontario Canada to set up the homestead and find work. The 1911 England census shows Herbert, Sr. is still a resident of England, but he was physically in Canada. If I search long enough I think I will find him on a 1911 Census for Canada as well. The rest of the family relocated in 1912, as documented by the 1921 Census for Hamilton City, Ontario, Canada. 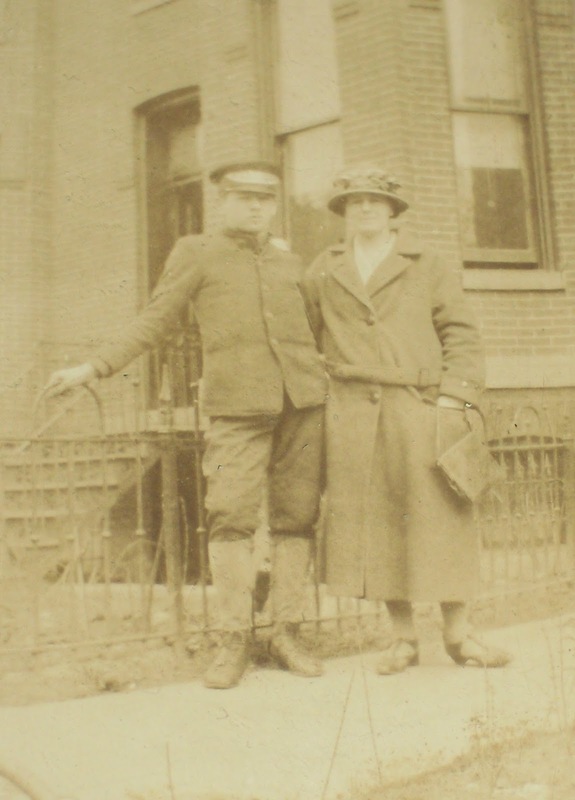 The Great War began in 1914, and Herbert, Sr. went back into active duty serving for England. I have a stack of amazing, embroidered postcards sent from Herbert, Sr. to his son Herbert, Jr. while he was away serving during the war. No other written record can be found. The Hall family was living, in 1921, at 245 Balmoral Avenue, Hamilton, City, Ontario, Canada. Herbert and Carrie raised their three children in Canada: Herbert, Jr., Carrie and Robert. When Herbert, Jr. got married in 1924, jobs were scarce for bricklayers, and Herb and Dora decided to move to the United States where there were available jobs in Washington, DC. Herb, Sr. and Carrie decided to make the same transition, so they all moved to Greenbelt, Maryland. Herb, St. and Carrie still had Carrie and Robert at home with them. Front row is Herb Jr. and his brother Bob. Behind Herb, Jr. is his mother Carrie, and I believe Carrie's mother, whose name I am unsure of. Top left is Herbie; in front of Herbie is June. Eddie is the baby in the center front. 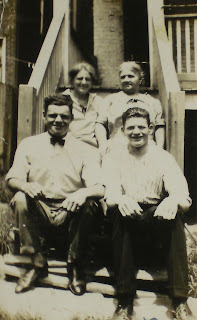 Dora with Eddie on her lap; Bob in the center, little Herb on the right. Carrie (the daughter) reached adulthood and married Ray Tomlinson. The two were married shortly after Herb and Dora. They also settled in Greenbelt. The two couples both had children, and the cousins grew up very close friends. Carrie and Ray's children, June and John were especially good friends with Herb and Dora's oldest two boys, Herb and Bob. Herb and Dora's youngest son was born a bit later, and the gap in their ages made it such that Eddie didn't usually hang out with the other four kids. Herb, Sr. and Carrie were still living in Greenbelt when World War 2 started. Their son, Robert, went and fought in the war. Their son, Herbert Jr., was too old to enlist. Robert never recovered from fighting in the war. When he returned to civilian life, he was an alcoholic, and did not live long. I don't know more about this. No one talked about him and my dad did not tell me much more than this. When Herbert, Jr.'s son Herbert William (my dad) was old enough to enlist, he was working in a machine shop on the waterfront in DC. His job was too important to the war effort, so they would not let him enlist. His enlistment started, instead, in April of 1945 to 1947, and he re-enlisted 1947-1949. Herb (my dad)'s brother Bob also enlisted, in the Navy. When they enlisted, their brother Eddie was still a schoolboy. When Herbert got out of the Army Air Corp, he bought a new car (below). 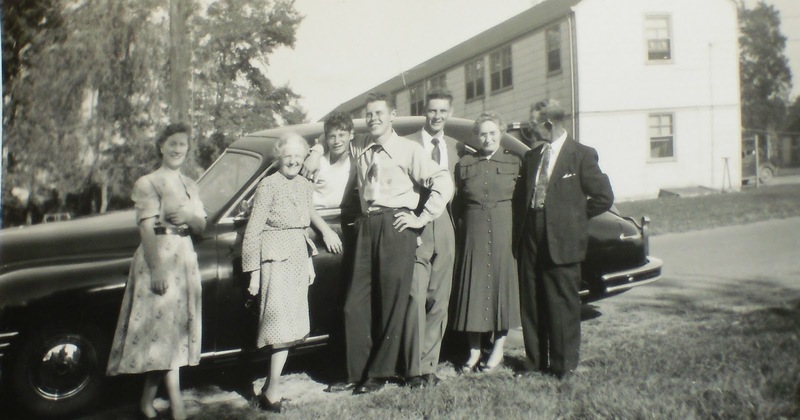 In the photo below, left to right: My grandma Dora, my great grandma Carrie, my uncle Eddie, my dad Herbert, my uncle Bob, I'm guessing my great grandfather's sister Edith, then my great grandfather Herbert Sr.
Herbert Hall, Sr. was my great grandfather and his wife Carrie, my great grandmother. Herbert Hall, Jr. was my grandfather, my father’s father. My great grandfather passed away in 1965. I was only six or seven, but I remember him well. He will appear more as I tell the story of my own life in later installments of Family Stories. Today I get to tell you about a great product from a vendor that was new to me, HelpTeaching.com. HelpTeaching.com gave select members of the Schoolhouse Review Crew one year access to their online Pro Plan in exchange for honest, unbiased reviews. So my first challenge in beginning this review is figuring out how to convey to you the breadth, depth and width of this program! If you are familiar with Charlie and the Chocolate Factory, by Roald Dahl, think about when Willy Wonka first receives all the visiting children and adults into the chocolate factory. Do you remember the visitors were cautioned not to touch anything unless they are invited to do so? This will be a stretch, as I switch analogies, but be kind and try to stick with me. Help Teaching is like taking a curriculum junkie home school mom and setting her down in the middle of a Home School Convention's Vendors' Hall, and her instructions are to try everything that interests you! Well, it is an overwhelming assignment. Now consider the same vendor hall, but with 60 curriculum junkie home school moms released to try out materials and then tell others about their experiences. Imagine how varied these reviews are going to be! I can't wait! My second challenge is to figure out how to tell you about Pro Plan in an organized fashion, in a way that you will be able to follow. I will try, but inside me there are voices and ideas screaming simultaneously, "...and let me tell you about this! And let me tell you about this!" and on and on. I'm going to try to reign myself in, calm down, and present this clearly and in some sort of order. I will begin by reminding my readers that I have one student, and he is in 10th grade. While Pro Plan is a full-range program, with materials for all grade levels, I focused on materials at the high school level. My student, this year, is studying Algebra 2, Chemistry, 10th Grade English Literature and Composition, Spanish I and Early American History and Government. I mention his subjects because these are the subjects I primarily looked at, even though the high school Science category, for instance, had materials for Biology, Life Science, etc. as well. This was always the case - each broad subject area has a sub-category, and the parent and student can either flit around like a butterfly, sampling here and there, or hone down and focus on one topic. The latter method suits our present educational style. It makes end-of-year portfolio development easier, as well as high school transcript creation. When the new user first logs into Pro Plan, they come to a main launch page with tabs across the top of the page. This page is available before you join - I was not logged in when I took this screen shot. From the photo you can see, in the upper right corner, the option to join for free. When you join using a free account you do not get access to as much as you get with Pro Plan. The guides are all available to visitors, so click on Pro Plan and go look if you are interested, because my screen shot images are not "clickable". When I first received the program, I was mostly interested in worksheets. Because of this, my method of choice was to sit down, research, locate worksheets, and save to my computer to print out later for my student. This is such a limited way to use Pro Plan. Why was this my focus? I live in a state with very specific instructions in the state COMAR (homeschool law). I am required annually to compile a portfolio of our educational year with samplings of written work in each subject. Before Pro Plan I was struggling to get written work for our paper trail in certain subjects, so that was initially my primary focus. Clicking on the "Tests and Worksheets" tab, I was taken to a page where I found a sub-catebory for "Social Studies", which gave the choices: "Ancient and World History", "US History", and "Geography". 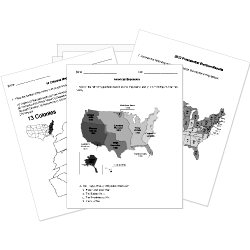 I selected "US History" and was taken to a new page with US History broken down into subcategories, each followed by a selection of pages that can be used as a worksheet or a test or a quiz. 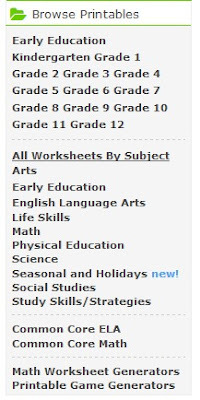 Another way the Tests and Worksheets can be accessed is by a list down he left side of the window, that shows you at a glance the subjects there are worksheets available for and has the worksheets broken down by grade level. This also has, at the bottom, the tabs for generating your own Math Worksheets and Game sheets (things like word searches and Bingo). I selected US History worksheets to use and saved them to my computer, which gave me a full and happy sense of satisfaction that my portfolio would now comply with the law. I found, though, that I now had to "teach to the test", or my student was inevitably asked questions about material he had not covered, that our reading material hadn't focused on. My next option was to assign a worksheet as the assignment and have my student research the questions, find the answers and fill in the blanks. This is also a fine method, but it doesn't work well with my student's learning style, and he gets distracted doing this research on the computer, with social media websites calling to him like sirens in the wind. While I was working through Pro Plan in my own way, trying to find my best fit for my family, I began reading glowing comments from other Crew reviewers which caused me to reconsider the way I was using the site. I set aside some time and went back to the website to start investigating other materials available to me. Math Lessons, and Science Lessons - which reminded me why I didn't start here, since I was focused initially on Social Studies/US History. My student recently took a college placement test in English skills and placed college ready. He is now taking English 101 at the community college, so I did not focus on the English Lessons. I decided to look at "Science". When you have selected a focus for Lessons (like "Science"), the next window gives you not only subcategories by topic but also shows a grade-level guideline, which does not have to be hard and fast and is very helpful. So I focused on the high school science section. Scrolling down by grade level, I came to 10th and 11th grade level lessons for Biology (we did Biology in 9th grade), 10th and 11th grade level lessons for Chemistry, 10th grade level lessons for Microbiology, and 10th and 11th grade level lessons for Physics. I checked where we were in our Chemistry studies, then looked for a lesson on the topic we are studying at that time, but there was no corresponding lesson available for that specific topic. The lesson topics are listed alphabetically, making this search easy, but I wish there was also the option to have them list in the order the student should cover the course material. 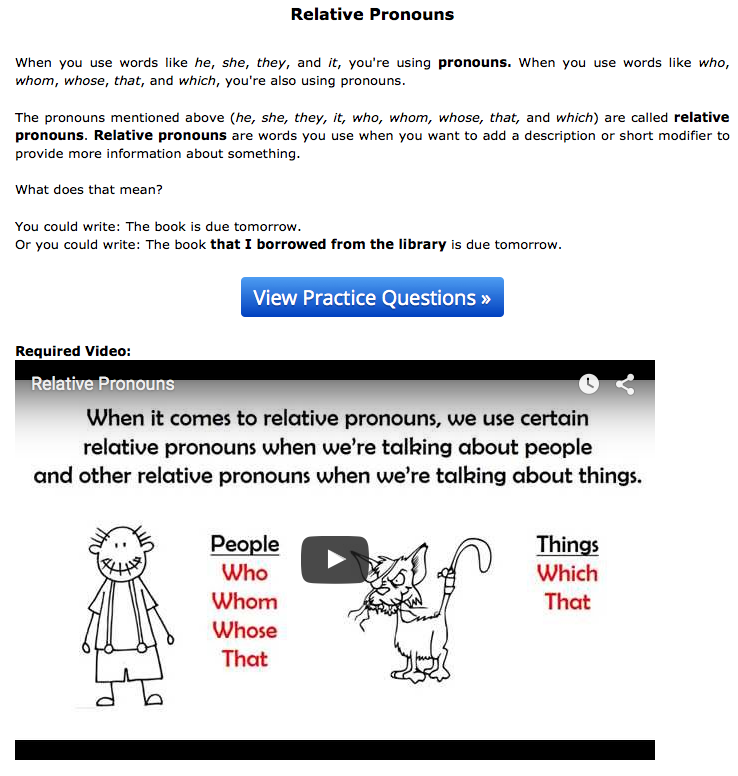 So I looked at other available lesson topics and chose one that looked interesting. I selected a lesson called "All About Birds" under "Biology" (11th grade level) and tried it out. After a short reading selection, the student takes a brief quiz (he can check answer by answer or take the whole quiz and then check), which is followed by a video lesson in the format of a lecturer with a white board. The instructor goes over material which was previously presented, further cementing the information into the brain. If you analyze by learning style, this method hits visual learners and auditory learners, those who learn well by video, and those who learn best by taking a quiz with quick feedback. It was a very good experience. I just wished there had been Chemistry lessons that corresponded with where we are in our Chemistry book, or that my student had the freedom (and time) to go back to delight directed learning. I think he would be in these Biology lessons in a heartbeat! Next I investigated the Math Lessons section. There is only one lesson marked "10th Grade", but topically I can see there is material here my son could benefit from, even if it is marked as a lower grade level. There is also material marked 11th Grade. 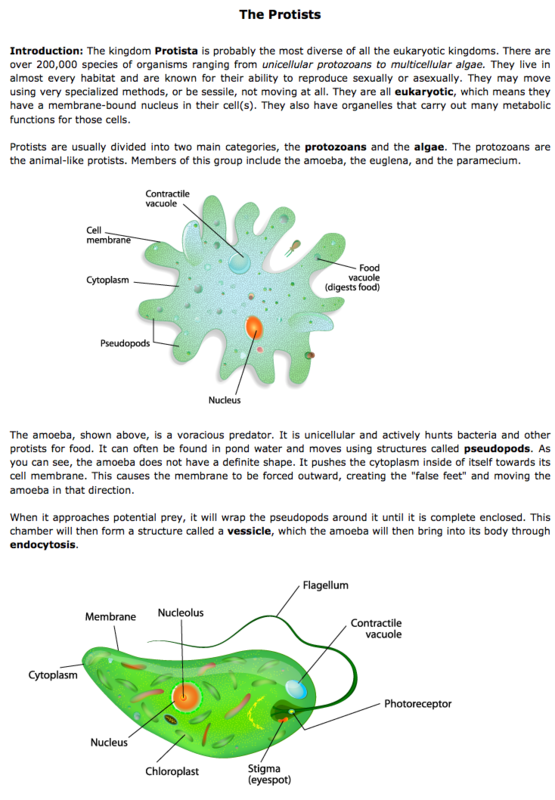 So my next step was to go back to the "Chemistry" Lesson topics and evaluate the available lessons with more scrutiny. Bingo! In evaluating how the student has been struggling with the textbook we've been using, I decided the Chemistry Lesson section is going to be a perfect fit for our purposes right now. We are hunkering down here for a while. 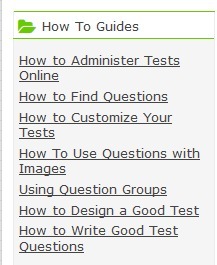 While writing this review I've realized I might want to use the TestMaker software to create my own History tests instead of using the ones provided by HelpTeaching.com. This is huge. Maybe it should have been obvious to me, but I just didn't see it as an option before. Now my brain is telling me, "Why teach to the test when you can create your own test easily and just test to the material you are covering this week in History." Beautiful! 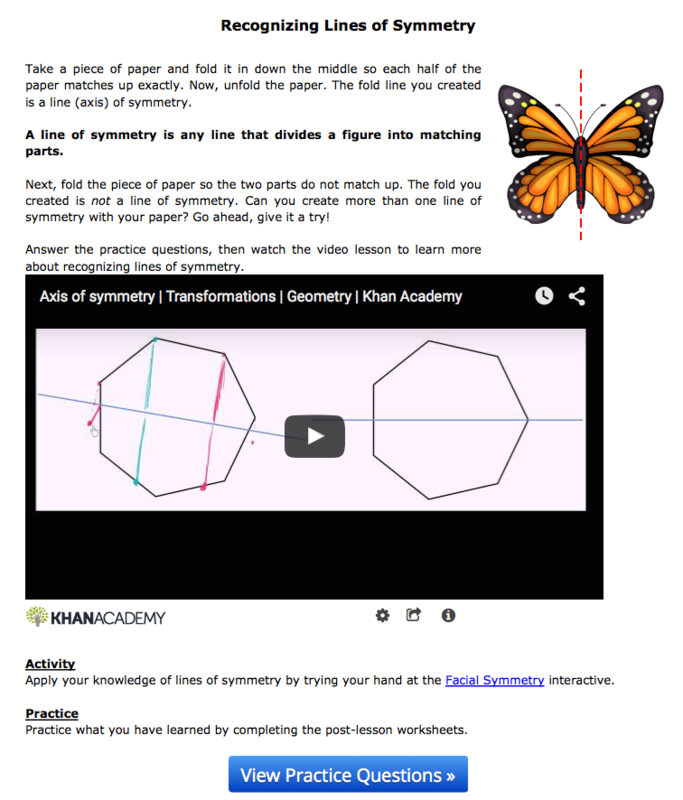 I like the way HelpTeaching.com links also to lesson videos on Kahn Academy, Educator.com and YouTube. I have had access to ProPlan for almost two months, and I still feel like there are things I have not discovered or tried yet! I'm so glad I have another ten months to use this great resource. I started with ProPlan thinking my focus would be pre-created US History worksheets. It turned out that my favorite parts of ProPlan are actually the TestMaker and the high school science lessons. A typical item to place in my review at this point is how did my student like the product. Well, my student is not happy being a student right now, so asking him how he liked some schoolwork is like asking a young child how they liked the fried liver served for dinner. Expect the child to make a face. My student might tell you I am giving him choices of how to pickle his brain by education (I'm putting it mildly). So, yeah, my student isn't going to give a good opinion of this (or almost any) educational product. I will say, though, that watching a video and taking a quick quiz is a learning method that is a good fit for him. There will be 59 additional reviews of ProPlan available for you, and I think you will get a lot of variety in response to ProPlan, but I bet all the reviews will be positive. Click on the link below to see other reviews, and then head on over to HelpTeaching.com to try the free aspect of the site. You might very well decide to try the ProPlan as well. It is a good program! Free - Read The Old Schoolhouse Winter Edition!